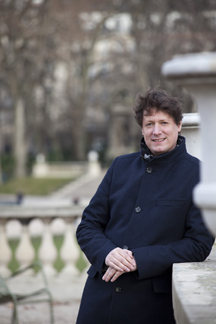 The conductor Boris Schäfer is currently Head of music at the Norwegian National Opera in Oslo. From 2014 till 2016 he was debuty music director at Luzern Theatre and conducted the new productions of BOHEME, ARIADNE AUF NAXOS, BÈATRICE ET BÉNEDICT and GISELLE and draw a lot of attention to the house; also as leading conductor of the silent film concerts and conductor of many repertoire performances. Since 2013 Boris conducts all operas for children at Bayreuther Festspiele; so far PARSIFAL, TRISTAN, LOHENGRIN , HOLLÄNDER and TANNHÂUSER together with Brandenburgisches Staatsorchester Frankfurt as well as the soloists of the Bayreuther Festspiele. Future engagements at opera Oslo in season 17/18 include Puccini`s TOSCA, staged by Calixto Bieito. With enormous success he has several concert series with "Accademia dell'Orchestra Mozart”, an orchestra founded in Bologna by Claudio Abbado. These projects are part of a collaboration with Claudio Abbado which began in 2009, and has included assisting Abbado with the Berlin Philharmonic, the Gustav Mahler Chamber Orchestra and the Orchestra Mozart in Bologna. In 2009 Boris conducted the Stuttgarter Kammerorchester on tour in Scandinavia. From 1999-2005, Schäfer was engaged as Assistant Conductor to Ingo Metzmacher with Staatsoper Hamburg where he worked with notable stage directors Peter Konwitschny, Hans Neuenfels, and Willy Decker. During this period he conducted "Die Zauberflöte", "Hänsel und Gretel", the German premieres of "Tri Sestri" by Peter Eötvös , "Powder her Face" by Thomas Adès , "Gloria von Jaxtberg" by HK Gruber and the World premiere of "Butterfly Blues" by Jörn Arnecke. Schäfer has also assisted at both the Bayreuth Festival and Staatsoper Stuttgart. Born in Mannheim, Germany, he started piano and violin lessons at the age of 6 and later studied conducting and piano at the Musikhochschule in Hannover. Schäfer pursued addtional studies with Dietrich Fischer–Dieskau at the Hochschule der Künste Berlin. Prizes include "Jugend musiziert" and First Prize in vocal accompanying at the Competition for the European Youth.